Villroser har vært så heldige at vi har fått lov til å publisere en samtale mellom Kristin Skogen Lund og Ingrid Ihme. Samtalen har tidigere vært publisert på Telenor sitt interne nett. Kristin Skogen Lund er konserndirektør i Telenor med ansvar for Digital Services samt Broadcastdivisjonen. Stillingen inngår i Telenors konsernledelse. Hun er også Norges første kvinnelige NHO-president. Kristin er 46 år og har fire barn. Ingrid sier "Jeg har vært så heldig å ha Kristin med på ulike Open Mind-arrangement mange ganger. Om Kristin vil jeg si: hun nysgjerrig og stiller riktige og kloke spørsmål, hun analyserer fort og finner essensen i saker. Hun vet hva som er viktig, det har hun ikke minst lært av sin far, som var motstandsmann under krigen og satt i konsentrasjonsleir. 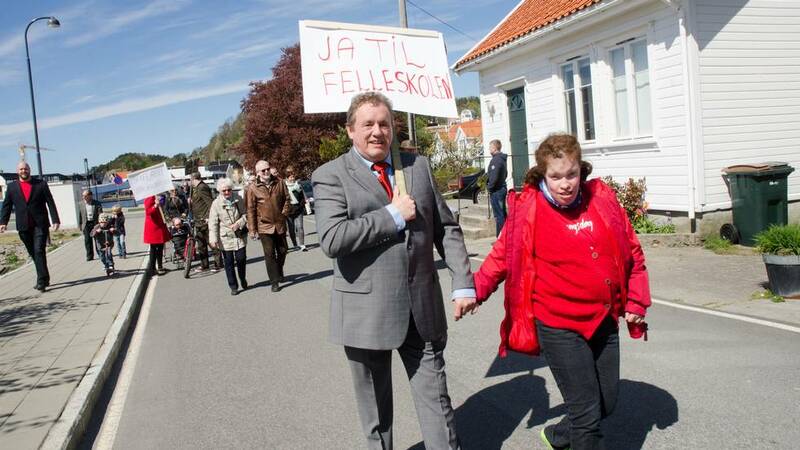 I forhold til meg, så opplever jeg at hun på en varm og respektfull måte beskriver min styrke og min svakhet". Vi ønsker Kristin Skogen Lund lykke til i sin nye jobb som Administrerende direktør i NHO. ”People with a burning passion are not what we need in Open Mind. We need leaders who require high standards and who are actually able to recognize one’s efforts,” said Ingrid Ihme in a conversation with Kristin Skogen Lund on Open Mind. 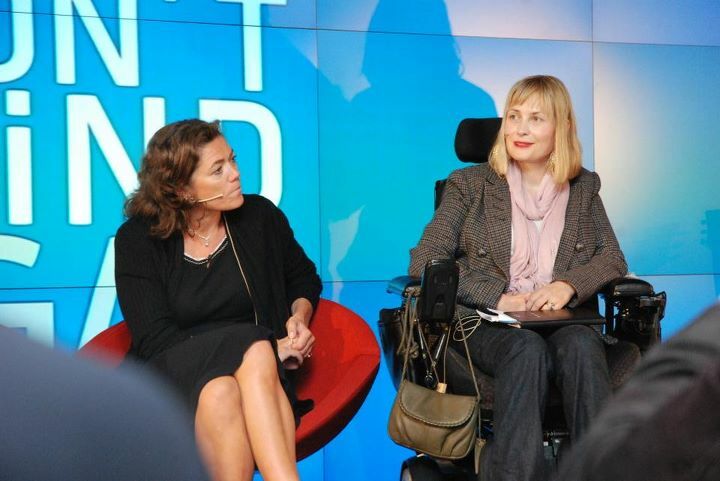 Kristin Skog Lund: The first couple of weeks after I took up my position in Telenor I met Ingrid who introduced me to Open Mind. I got so impressed both by the extent of the programme and the way in which Ihme and her team slowly and consistently have built it up and expanded it to also include other target groups. To make initiatives like this sustainable is not easy. Ingrid and her team have managed to make this a win-win formula for all involved parties from the very start. Furthermore, when I think of the perseverance and dedication that Ingrid shows despite the obstacles and challenges in her way, I am simply amazed. Many people have heard about Open Mind, but they do not know a lot about you. Could you please tell us a little about yourself? Ingrid Ihme: Sure, I come from a farm in Mandal in the southern parts of Norway - a great place to grow up. Ever since I was a child, my family always have told me how clever I am, and that there was nothing I couldn’t manage. So I’ve come to believe that this is a fact. That is a good quality to have as a manager — it helps to believe that you are clever and capable of achieving results. Kristin Skog Lund: In that case, I guess we have something in common. When asked about myself, I often tend to say that when you believe in yourself, or as a small child is told that you can achieve whatever it is —in comparison to others, who are told the opposite—this is such a formative experience. I believe we share something here. Ingrid Ihme: Yes. I have never accepted it when people say that this or that can’t be done. I have a progressive muscular disease, which means my condition will only get worse. I began using a wheelchair when I was about 20 years old. When you lose the ability to walk at such a young age, and having an illness like this, it means you are often experiencing grief. But, on the other hand, you also become very strong; I believe I can handle anything. Kristin Skog Lund: So, this really puts things into perspective? Ingrid Ihme: Yes, it does – it gives you faith in yourself and others. This is very positive. Having said that, it’s also really good to get a chance to work, it gives you an opportunity to focus on something else and not on the fact that things are not going well. 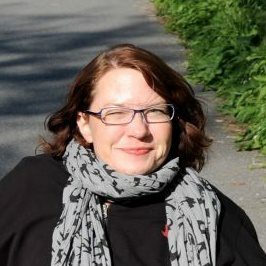 Kristin Skog Lund: Can you tell me a bit about the background to the Open Mind programme, and how you became involved? Ingrid Ihme: The programme itself started in 1994 in Aprildata, which was bought by Telenor in 1996. I had a friend who was involved in the programme. Kristin Skog Lund: What were you doing before this? Ingrid Ihme: I came from college, where I had been studying the history of ideas and religions and spent six months studying law, which I found boring — I couldn’t have continued doing that for six years. I joined the programme in 1996, and then became project manager in 1998. My first job was as a programme manager. Kristin Skog Lund: What is the most important quality a manager of such a programme should have? Ingrid Ihme: Some say that you need a person with a burning passion to do this kind of a job. I think that is a silly thing to say, as it is not the case. You need a manager who requires high standards, who communicates clearly and who is actually able to recognise one’s efforts. That is what I had when I started. Kristin Skog Lund: What does a typical workday for you look like? What are the most important things that you do? Ingrid Ihme: I spend my time strengthening Open Mind’s position both internally and externally. Externally, towards politicians, the Norwegian Parliament, other companies and the Norwegian Labour and Welfare Administration (NAV). Whereas internally, I spend my time working with regular Open Mind activities and the Integration programme i.e. with internships and admissions. Kristin Skog Lund: What are the biggest challenges you are encountering? Ingrid Ihme: Well, I think we have come long way. As long as we provide people with information, then the challenges we encounter are not that big. Kristin Skog Lund: Ok, so there are no barriers that you are constantly coming up against and that irritate you? Ingrid Ihme: No, not really. Kristin Skog Lund: That’s good to hear. Ingrid, I have to ask you, since a lot of people see you as the embodiment of Open Mind; where would Open Mind have been without you? Ingrid Ihme: I don’t know actually. I really enjoy bringing about change. And I raise questions when I don’t agree that changes can’t be made. I’m a doer, and I am also good at recognising great ideas, like, for example, when we spoke about extending the programme to also include Integration [of non-European immigrants]..
Kristin Skog Lund: Who inspire you the most - where do you get your energy from? 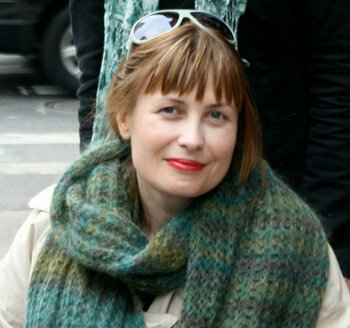 Ingrid Ihme: I get most of my energy and inspiration from the participants, actually. They are on their way to getting a permanent job, which is of key importance to them as to everybody else. There is a lot of energy in this work. Similarly, I have - and still get - an energy boost from all the people in Telenor who believe in me - including you now. Kristin Skog Lund: Thank you! Do you know if the Open Mind programme has inspired others to do the same? Ingrid Ihme: Yes, in DiGi they introduced a similar programme, called Open Hearts. The same thing has also been done in Sweden and Pakistan. But, in Norway there are no other companies that have followed Telenor’s good example. Kristin Skog Lund: Why is that, do you think? Ingrid Ihme: To be completely honest, a lot of people think that it is too expensive and that it takes a lot of resources to succeed. All that is needed is for someone to say that this should be done. Even so, the Norwegian government recently created a new job strategy, into which they have incorporated a large part of our philosophy. Kristin Skog Lund: I am sometimes asked about Open Mind, and the attitude I am met with is that it is easy for a big company like Telenor to do this. But as you’ve told us, the truth is that this did not come from us but from a very small company, which we acquired a while back. This is the best example that you don’t need to be big to succeed. Ingrid Ihme: Yes, this clearly shows that you don’t need to be big to succeed. I’d love to get the programme running in Statoil and Aker too. Kristin Skog Lund: Have you been in dialogue with other big companies in Norway? Have you been spreading the word outside Telenor? Ingrid Ihme: Yes, I have, but they and others seem to think that it is difficult to succeed. I have approached a number of people in various HR networks, and they say “yes that sounds great” — but nothing comes of it. But, to be completely honest, I don’t really mind. Because that means that we in Telenor are free to pick and choose the very best candidates. Kristin Skog Lund: Indeed! Good point! You have been part of this for 15 years now. In 15 years’ time, how will it look then? If we have this conversation then, what do you think we will look back on? Ingrid Ihme: I think that maybe in 15 years’ time, there will no longer be a need for an Open Mind programme. I think that it will have become more commonplace to employ people from different backgrounds—be it people who are physically disabled or immigrants—than it is today. Kristin Skog Lund: So, if I understand you correctly, your ambition going forward is that the Open Mind programme will become so successful that it will no longer be necessary? Ingrid Ihme: Yes, after a while. But in the short term, I would like Open Mind to be launched in other countries where Telenor is present, as well as in other companies in Norway. I would also love to convert the Open Mind programme to a trainee programme so that participants start getting salary right from the beginning. We are currently using funds from NAV for two years for the physically disabled and for one year for immigrants.